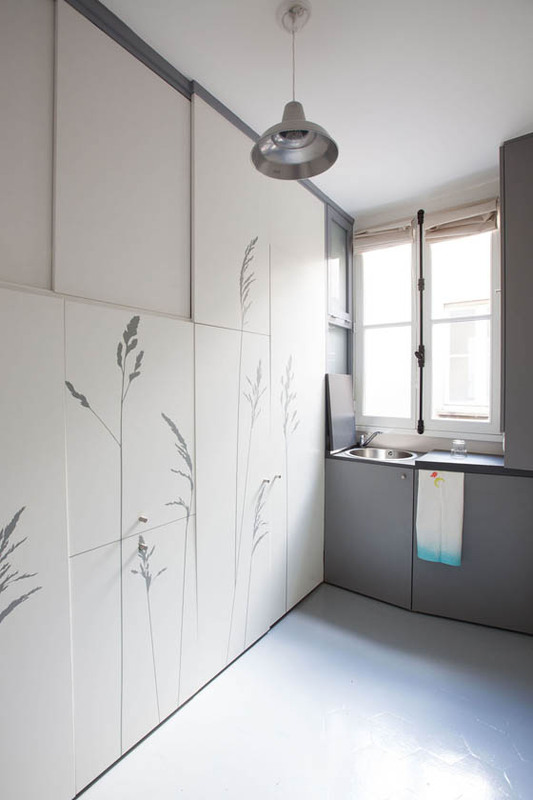 Maid rooms in Paris have long been considered ungrateful and secluded spaces in the beautiful Haussmann buildings. Always located on the top level under the roof of these buildings, they are characterized by their small size, with rudimentary aesthetic interior spaces and common circulations difficult to access. However, due to the general increase in property prices, these forgotten square meters generate a new consideration and become a new type of housing. 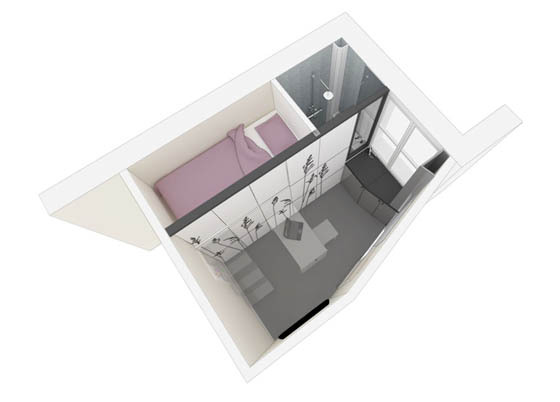 Using the “concept of the Swiss Army knife”, Kitoko Studio arranged functions in such a way to fit the extremely small space(8m2) and make good use of it. 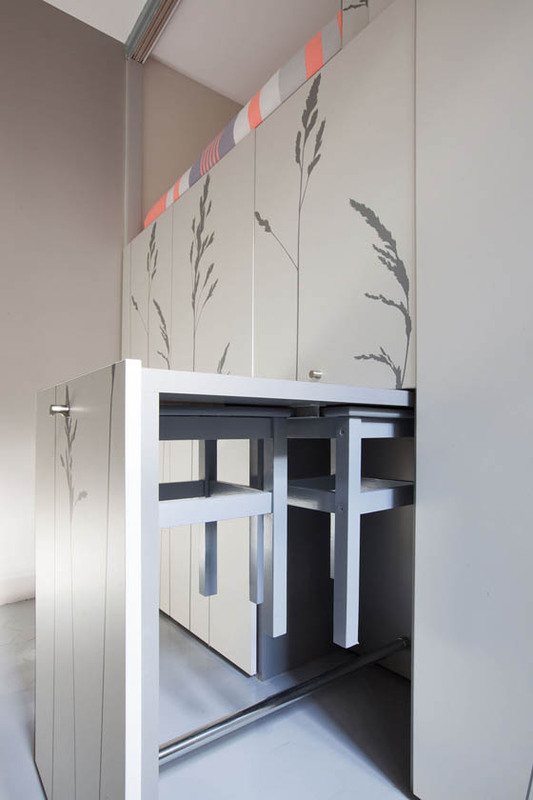 Despite the small area, the space had to be functional in order to sleep, and also to cook, eat, wash, work and store a maximum of items. 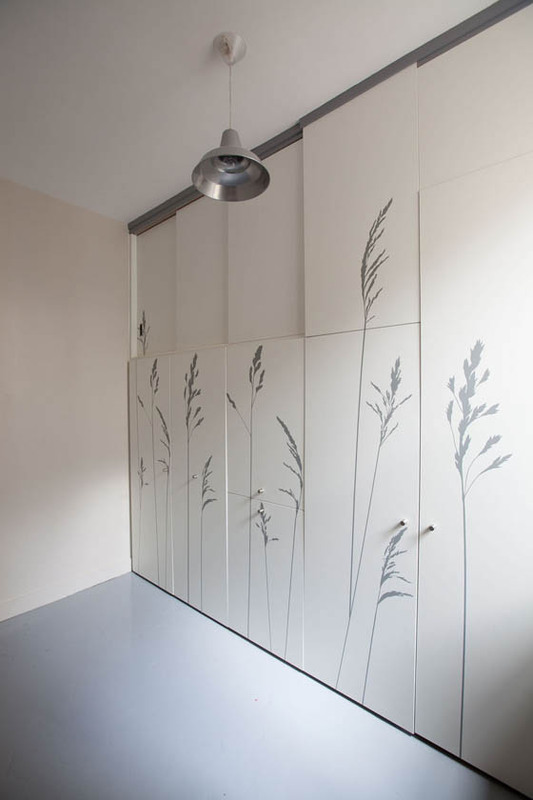 When comes into the room, first thing you will notice is a wall of storage area. 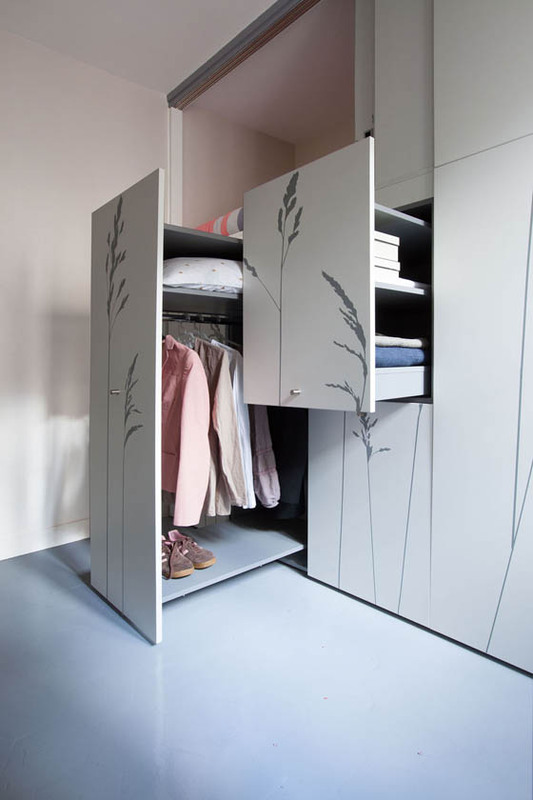 But it is more than just storage, it has all kinds of pull-out component to make this place livable. 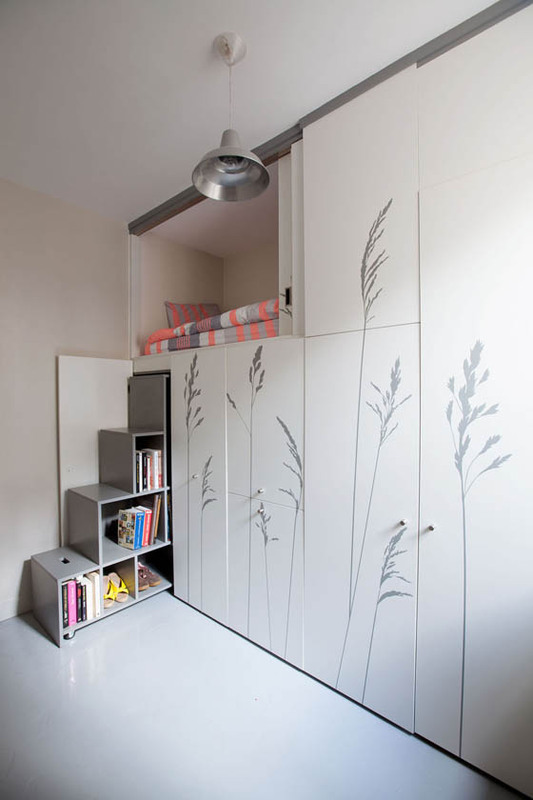 The bed is accessed by a pull-out storage staircase. With the sliding screen, the bed has more privacy and is isolated from daylight. 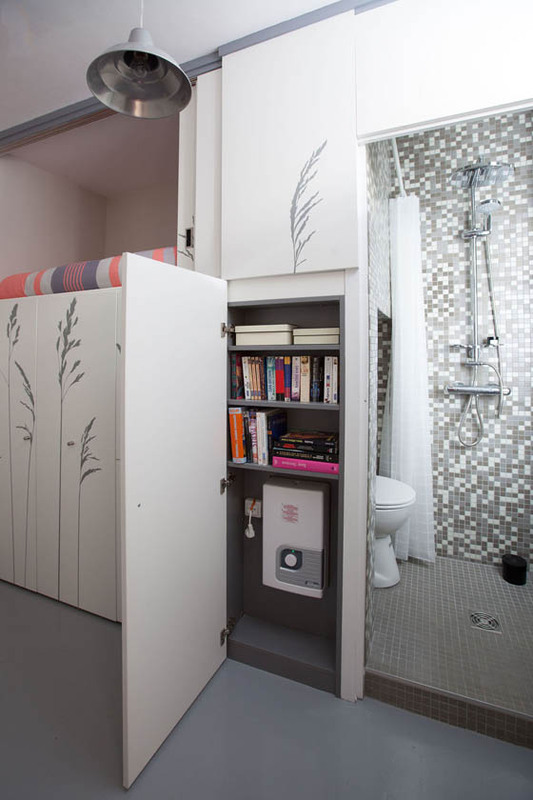 Moreover, there is a pull-out wardrobe, a pull-out table with two suspended chairs, an additional storage for everyday items, bookshelves and a boiler for hot water. 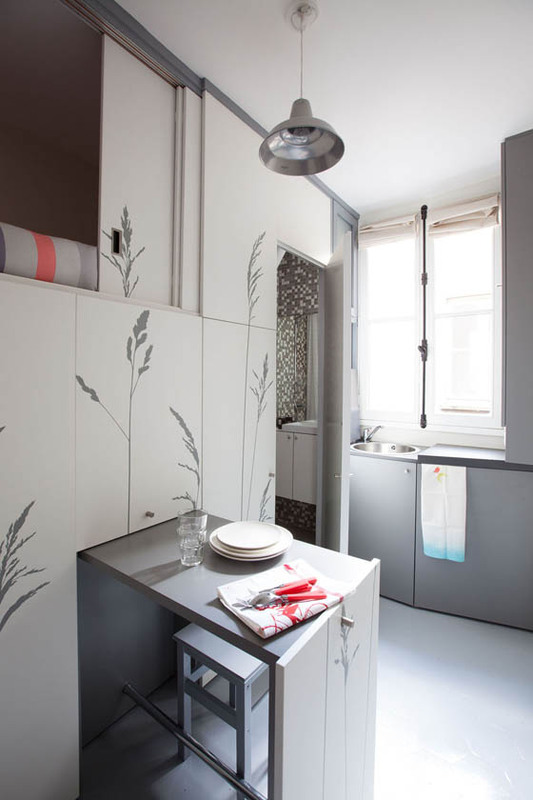 The kitchenette has a fridge, a microwave and a removable cooktop under the worktop. 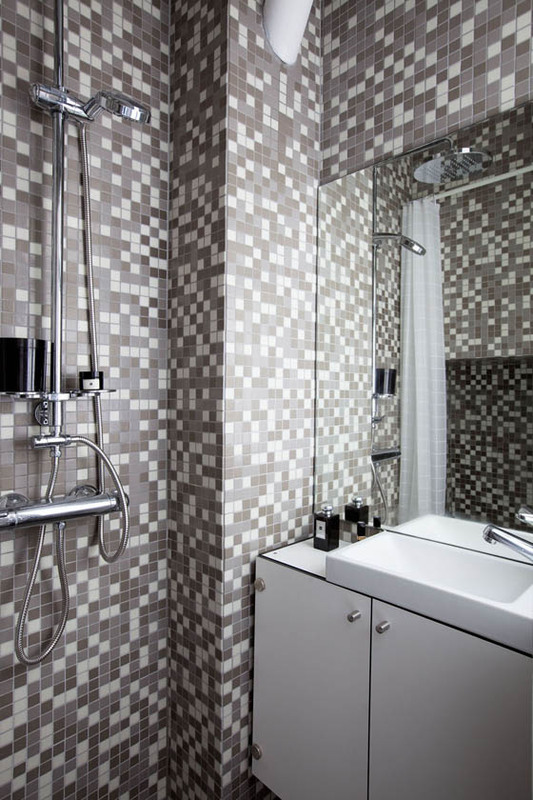 As for the bathroom, it is fully equipped with toilet, a shower and a sink. 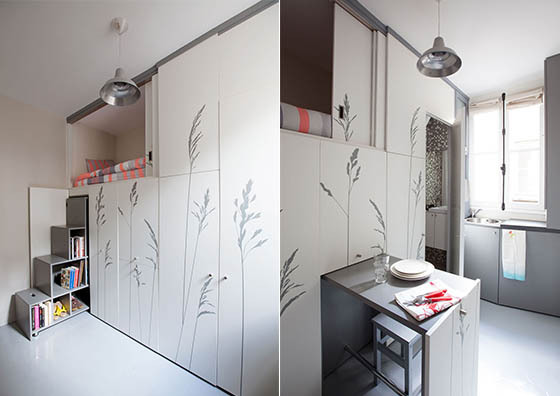 Even in only 8m2, even there are lots of push-in or pull-out, it is a functional place to live. 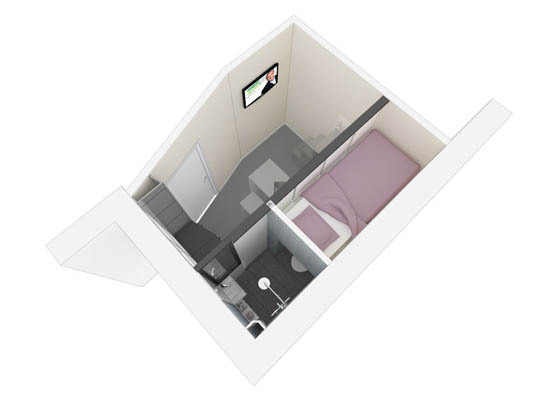 Here are some photos of the room and don’t miss video at the bottom if you want to see how to live in this compact space in action.